This week LegiSource publishes its final installment in the series on statutory committees that oversee the legislative staff agencies. The series so far has addressed the history and duties of the Legislative Council, the Audit Committee, and the Committee on Legal Services. 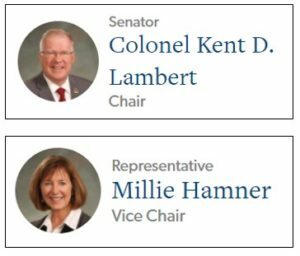 We close the series by looking at the Joint Budget Committee. 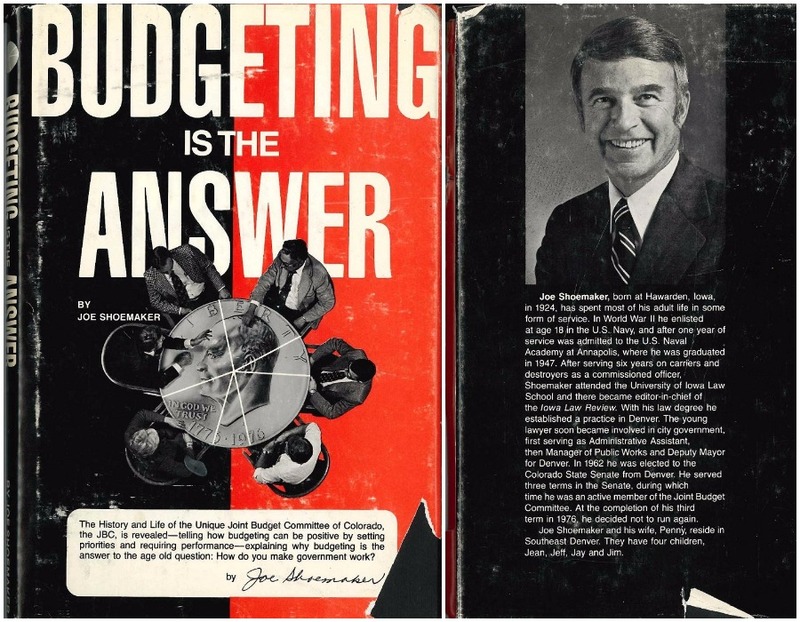 The evolution of what would become the Joint Budget Committee, or JBC, began in 1955, when then-Representative Palmer Burch, a member of the joint subcommittee on Appropriations, took the reins of the budget from the governor to the legislature. 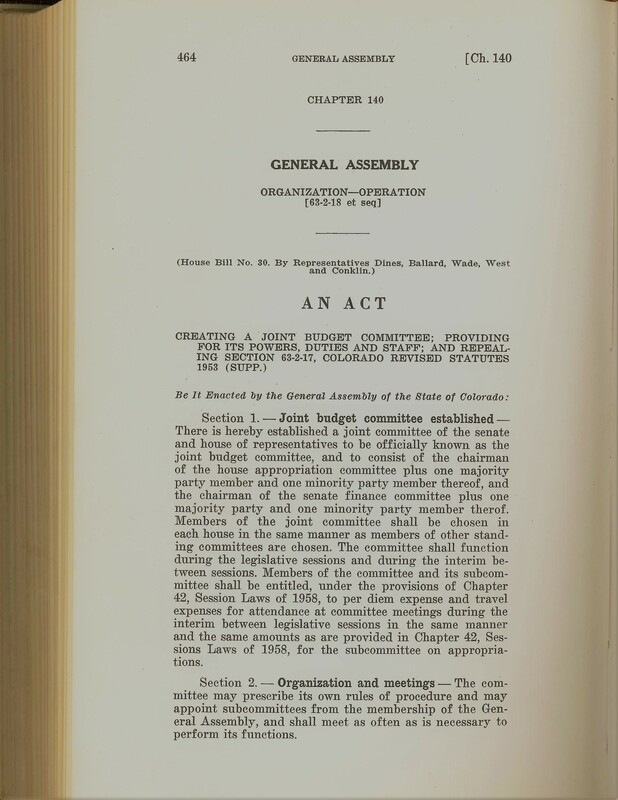 This was the first, as John Straayer describes in his book The Colorado General Assembly, “legislative effort to develop budgetary expertise independent of … the executive branch.” It turned out well: The budget passed that year, with zero (!) amendments, and was signed into law. The next year, the General Assembly, impressed with the subcommittee’s efforts, approved an appropriation to hire outside staff to work specifically on the budget. And finally, in 1959, the JBC was officially created. 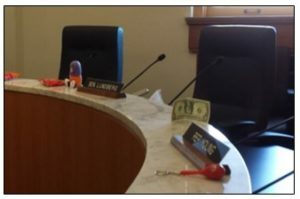 You won’t find the word “budget” in the constitution Colorado adopted in 1876, but passing the state’s budget is possibly the most important duty of the General Assembly. The budget is a reflection of the state’s priorities—legislators have to balance it, and they have to pass it. And for that to happen, they depend on the JBC. 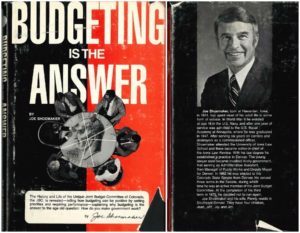 As Bob Ewegen, a statehouse reporter for the Denver Post in the 1970s, wrote in the introduction to Budgeting is the Answer, there are no monuments to budget committees, because “the complex and intricate mechanisms which govern society may engage men’s minds–but seldom stir their souls.” And yet the JBC’s invention and development was and has been not only innovative but integral to the success of the state. Considered by many to be the most powerful committee in the General Assembly, the JBC is also the smallest. As described by the Senator, the JBC is a David-sized committee with a Goliath-sized task. The six members include the chairs of the House and Senate Appropriations Committees, a logical choice as the work of those committees and the JBC is inextricably connected. The former deals with the funding requirements of newly introduced legislation and the latter the ongoing fiscal needs of the state. The other four JBC members—one majority and one minority member from each house—are appointed by their respective majority or minority leader. In the Senate (see Senate Rule 21), the appointees are first elected by their respective party caucus. 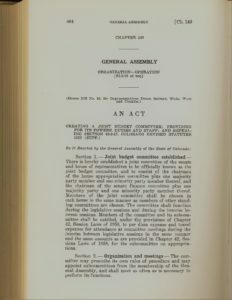 A condensed version of the members’ very busy terms includes: Public hearings of budget requests in the fall before the legislative session begins; writing the budget in more public hearings, line by line, for each department and institution, each line of which requires a vote; sending the bill to the appropriations committees, the party caucuses, and finally the floors of the House and Senate, where it’s 99.9% likely to be amended, which means after its passage in both houses, the JBC must meet as the conference committee to navigate the changes made to the budget in each house and how to patch it up. 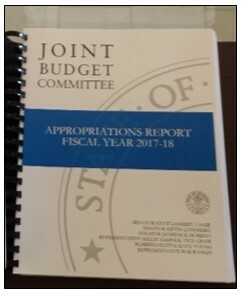 Members of the JBC also developed the idea of budgeting for an FTE, or a full-time-equivalent position, as opposed to appropriating money in the abstract for new hires, as well as the performance budget, the first of which was presented in 1974, which allows the JBC to take into account a department’s or institution’s performance goals and up-to-date reporting on their budgeted and actual expenditures. The JBC’s innovations have proven that, for a budget to serve the people, it must be more than a collection of numbers and dollar signs. Work with the capital development committee concerning new methods of financing the state’s ongoing capital construction, capital renewal, and controlled maintenance needs. Whichever metaphor suits your view of the Joint Budget Committee, you’re in luck—the Committee will begin holding a series of (many) meetings on Monday, November 13, 2017, to hear the governor’s budget request and the briefings from the state’s agencies, departments, and institutions. An earlier version of this article misspelled the name of Representative Palmer Burch. We regret and have corrected the error.